What are martial arts and how were they born? These are some questions that you may have and, reading this article, you will find their answers. This is a general explanation of what martial arts are and for what they are used for. During next weeks we will examine deeply one martial art per time to understand and learn something new and curious about this field. It’s interesting denote that the term “martial arts” was born to be used not in regard to the fighting arts of eastern Asia, but to the combat practices in Europe in 1550s. The term, in fact, derived for Latin and means “Arts of Mars” ’cause Mars is the Roman god of war. Martial arts can be defined as combat practices, learned and developed for self-defence and competition. They were born more than 4,000 years ago in China, during the Xia Dynasty. Yellow Emperor Huangdi, from the Xia Dynasty, introduced the earliest fighting system in China. This system was developed in the Spring and Autumn Annals (5th century BCE) with a deep description of the techniques and notions of “hard” and “soft” techniques as well. In Europe, the first trace of martial arts are recovered in the Ancient Greek traditions. Boxing (pygme, pyg), Wrestling (pale) and Pankration were included in the Ancient Olympic Games. The Romans, instead, introduced gladiatorial combat as a spectacle. During the medieval period were discovered more documents and traces about martial arts from all over the world. Indeed, “Historical martial arts” in both Asia and Europe are based on such records. The late 19th century can be defined the beginning of the history of martial arts as modern sports. Some examples are boxing and fencing as sports in Europe, modern forms of judo, jiu-jitsu, karate and kendo in Japan and so on. First thing first, it’s always better know how many types of martial arts exist and their names. 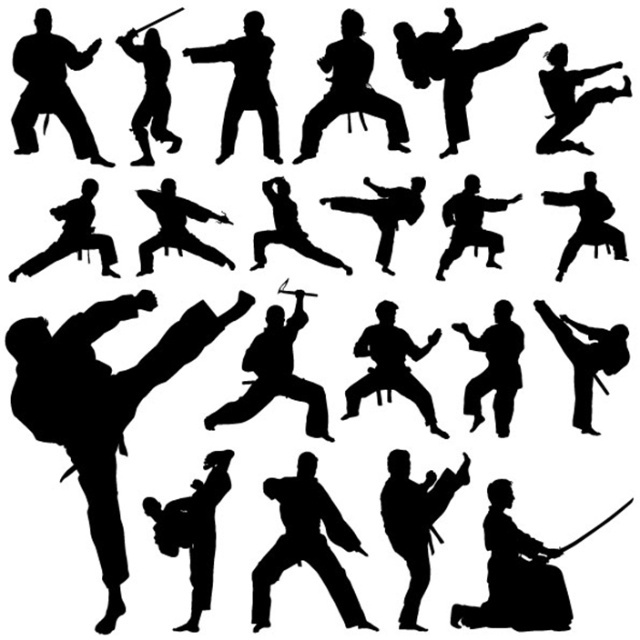 Martial arts are categorized along criteria and technic including unarmed and armed martial arts. Armed martial arts use bleaded weapons and pole-arms. Unarmed martial arts, indeed, are divided between strikes, grappling and hybrid martial arts that cover both field. It’s important to know that unarmed martial arts include the use of power and strength-base techniques and the use opponent’s own energy against them. Martial arts can be also linked with religion and spirituality ’cause they seem to have been founded and practiced by monks. Each practitioner tests his own skill level thanks to competitions; even students of a particular martial art are periodically tested and graded by their own teacher to advance to a higher level, earning a different belt color or title. The practice of martial arts is defined excellent as both body exercise and self-defence. Martial arts exercises activate the entire muscular system, have benefits for your mental health, contributing to self-control, emotional and spiritual well-being. As self-defence martial arts are used within modern military training. According to Bruce Lee, martial arts also have the nature of an art, since there is emotional communication and compete emotional expression. Being martial arts healthy and useful, there are different disciplines. During the next few week we will approach martial arts more and more in particular. Chinese martial arts will be the next topic, always it will be developed firstly in general and then in particular. This will be a long and amazing journey within martial arts.